We were looking for products for our holiday gift guide subscriptions boxes really struck out fancy. We really like the idea of having all the shopping done for you and shipped too. When you think about it, it might just be the perfect gift. 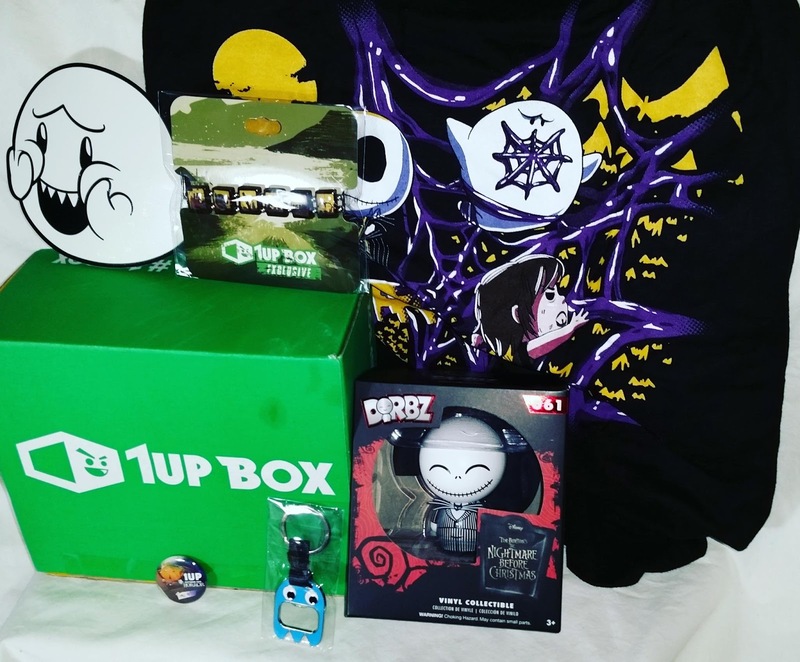 When we reached out to 1UPBOX we were thrilled to learn we would be receiving the Horror themed box. This was the September box, yes we are running late. But no matter, all these boxes are awesome! 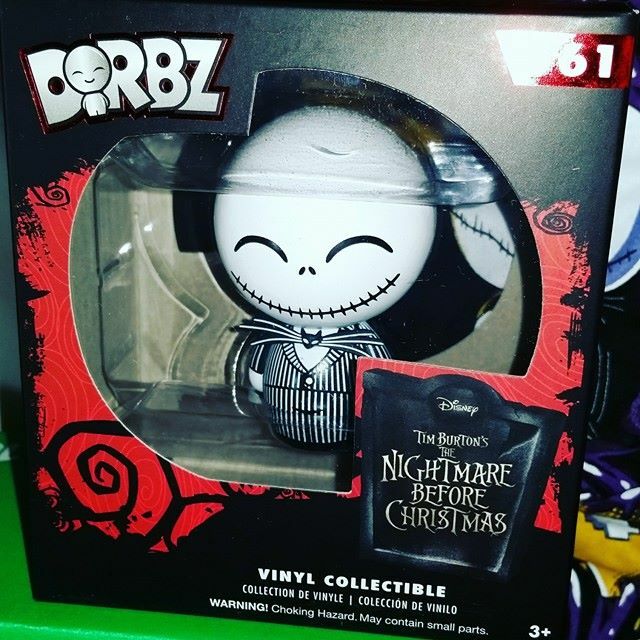 1 of 2 Nightmare Before Christmas Dorbz - "This is Halloween, everybody make a scene!" 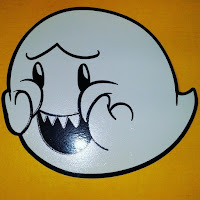 Prepare yourself for Halloween by using this adorable figure for decoration. Nope, we could not bring ourselves to remove it from the box. 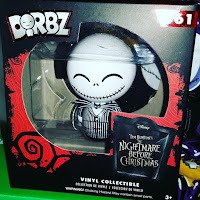 As you can see we received DORBZ 061: The Nightmare Before Christmas- Jack Skellington. 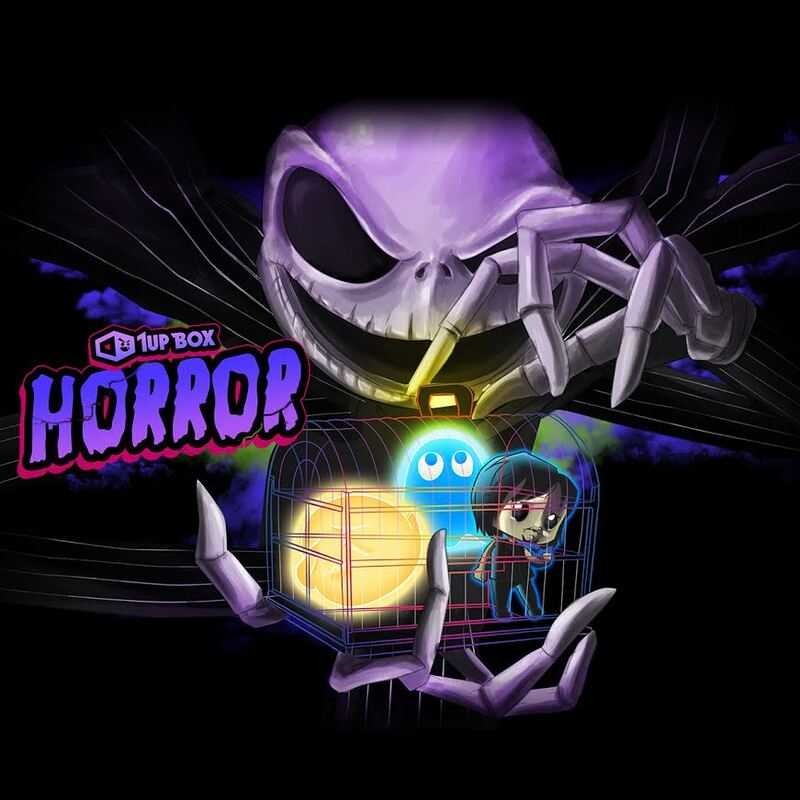 Glow in the dark sticker - BOO!! 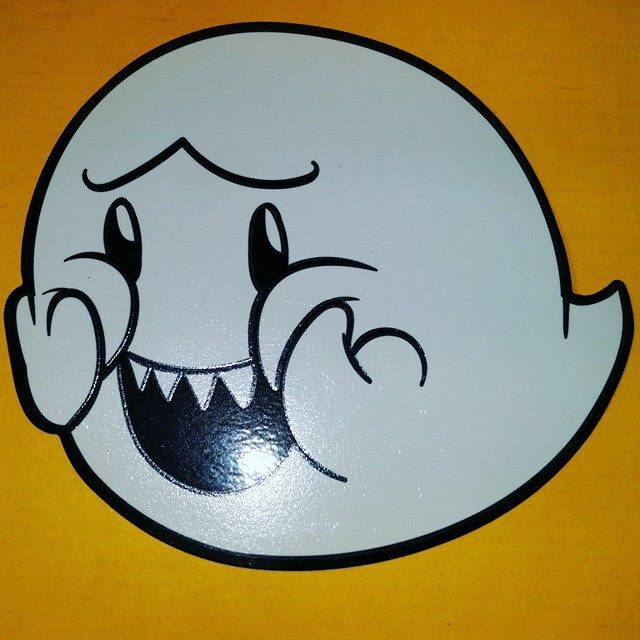 Make sure to light up the darkness with this glow in the dark sticker to vanquish the ghost around you. 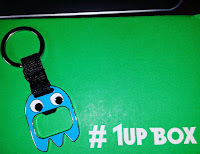 Who doesn't love a glow in the dark sticker? this one is large, about the size of our hand. 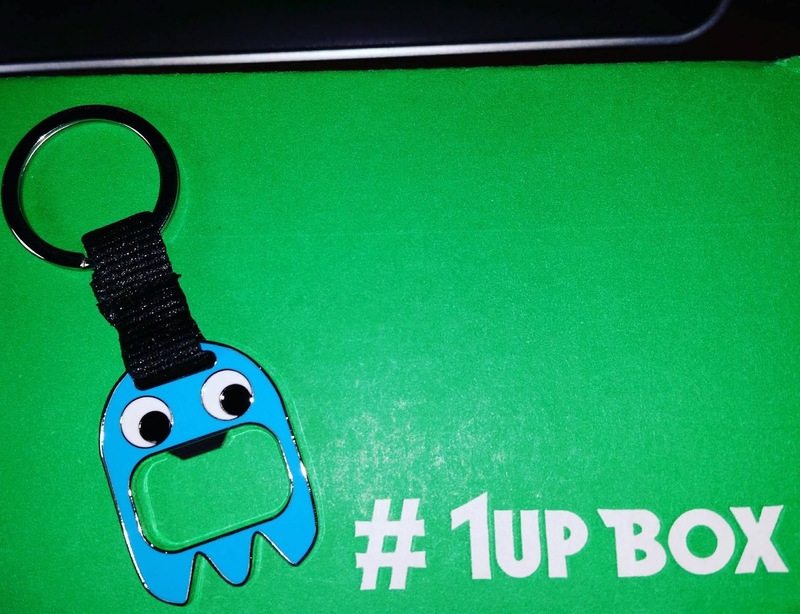 Ghost bottle opener - What's a better way to open a glass bottled beverage than by using one of our old enemies? Trick question, there is none. From the video game we all know and love....ahhh this takes us back a few years. 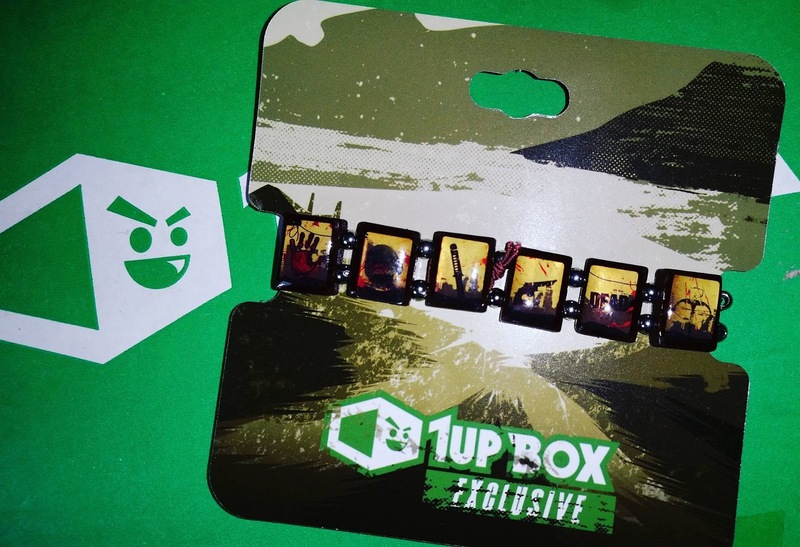 Zombie Tile Bracelet - Protect yourself in a zombie apocalypse with this anti-zombie bracelet. It is made of 100% anti-zombie material. Totally fan girl over this one! 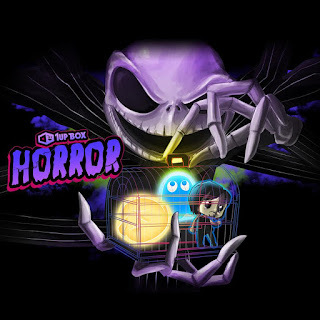 "Get Caught" Exclusive T-Shirt-Is it that time of the year again to wear scary costumes? Looks like you'll be prepared this year even if you don't have one during Halloween. Don't forget to wear this shirt during Halloween to show off your geeky side. 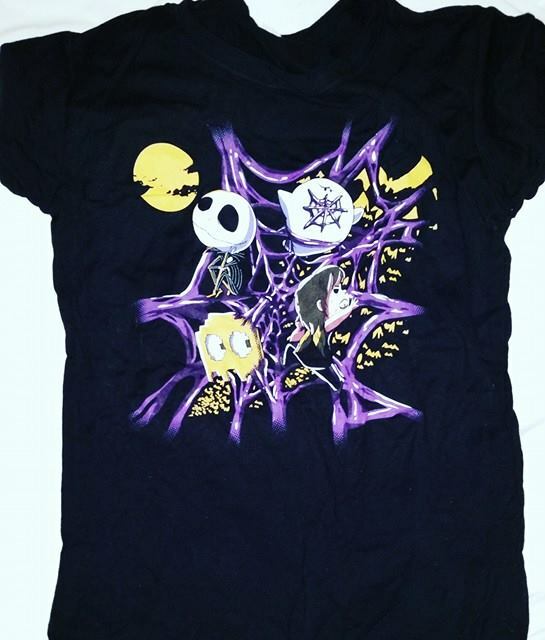 This shirt is super cute but was sent in a girl cut. That's probably out fault for not following directions. 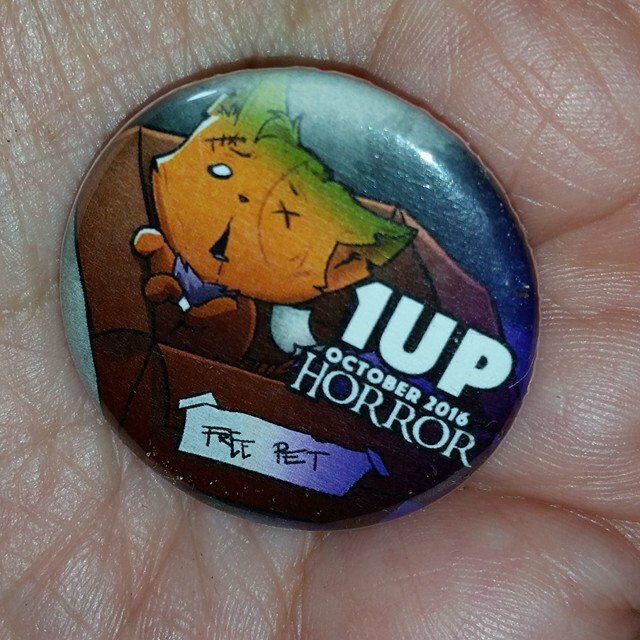 Show your 1UP pride with this sweet pin! This was not listed as part of our box so we are guessing it was an extra!